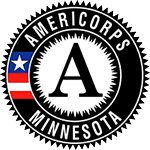 South Central Minnesota SCORE Chapter is housed at Southern Minnesota Initiative Foundation. They are a volunteer organization that provides business experience and expertise to an aspiring or existing business owner. Individuals work with an identified business owner one-on-one. We are currently offering SCORE in the following counties: Blue Earth, Faribault, Freeborn, Nicollet, Rice, Steele, and Waseca. For more information, contact Marcia Haley at 507-455-3215 or marciah@smifoundation.org or visit www.southcentralminnesota.score.org. SCORE members gather monthly, rotating between the local links (Albert Lea, Faribault, Mankato, Owatonna and Waseca).